Hot tamale! Buford Highway is packed with excellent options. 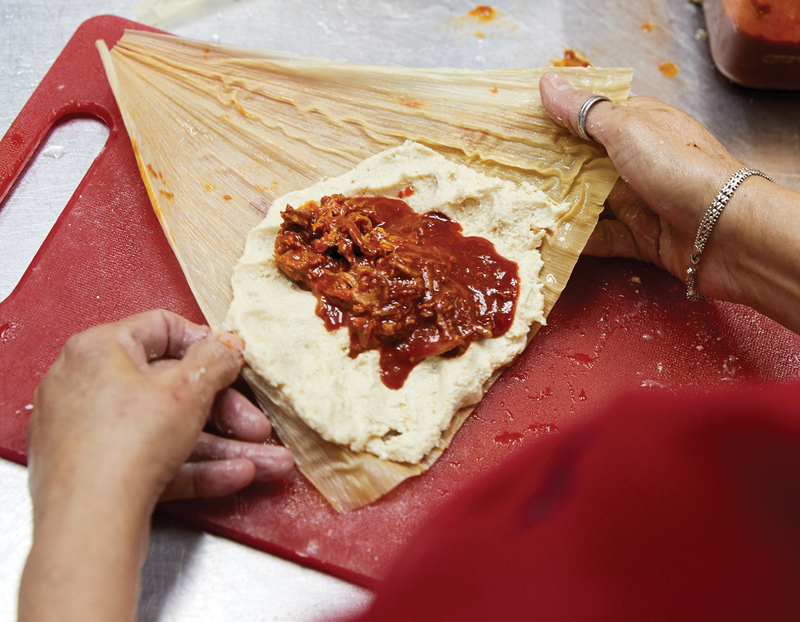 Housemade masa makes Chicago Supermarket’s tamales taste sublime. Martinez ought to know. 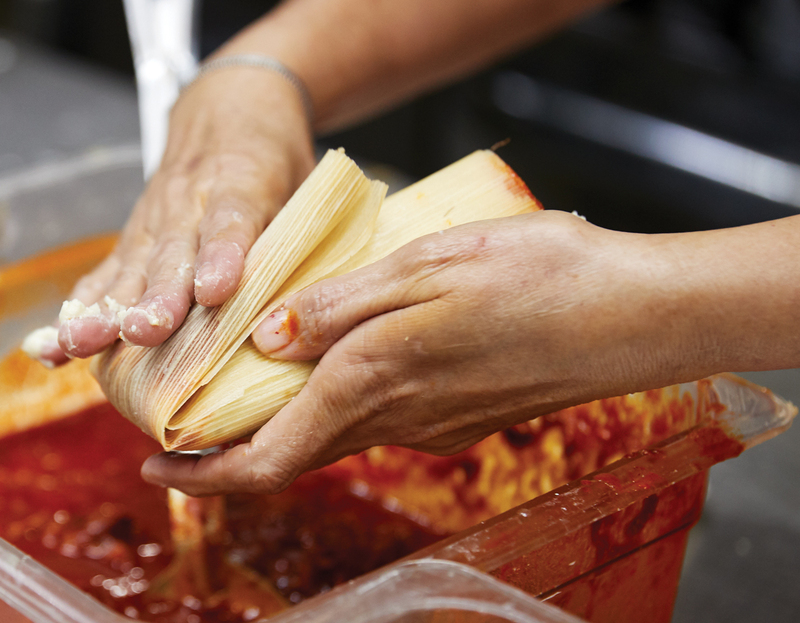 As owner of 100% Artisan Foods in Chamblee—a literal tamale factory—he’s responsible for the production of 3,000 tamales per week. 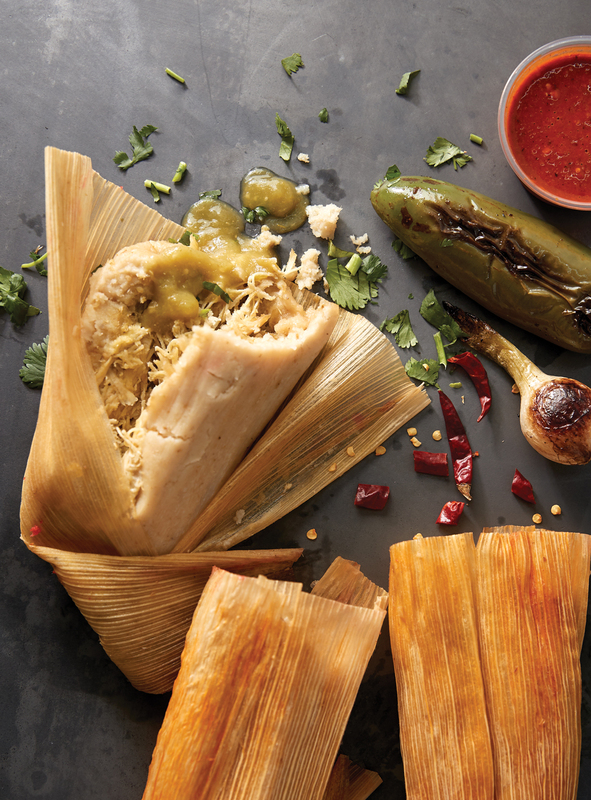 Traditional tamales consist of a thick shell of soft but dense corn masa filled with meat or vegetables and wrapped in corn husk (in landlocked areas) or green banana leaves (near the coast). Depending on where the cook is from, the masa may contain lard or vegetable oil. Marco Marinez, owner of 100% Artisan Foods, takes a break from his tamale factory to enjoy Chicago Supermarket’s chicken and red mole tamales. He approves of the artful preparation (left). 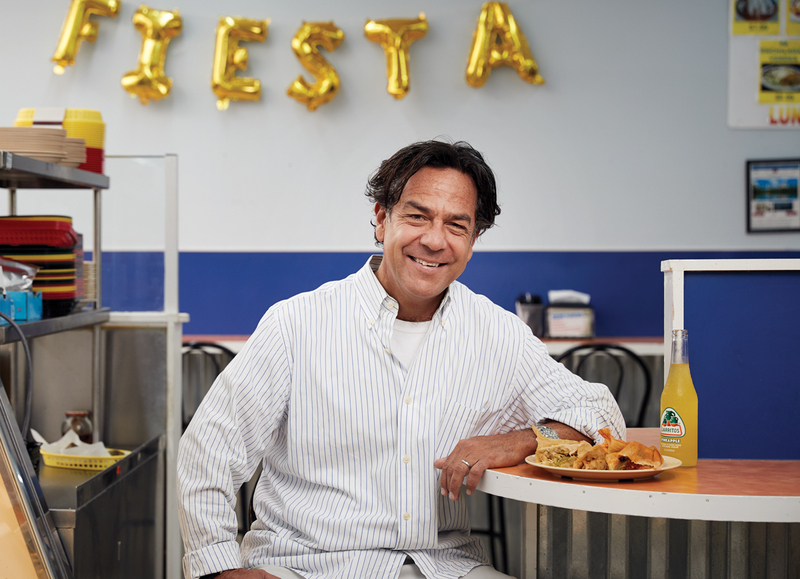 Martinez, who opened Midtown Mexican restaurant Zocalo with his brother and sister in 1995, founded 100% Artisan Foods after his restaurant regulars encouraged him to sell his tamales and salsas retail. They’re now available at local farmers markets and Whole Foods. Of the 16 flavors of tamales he sells, the chicken and mole is his favorite. “My grandmother used to make those for me,” he says. 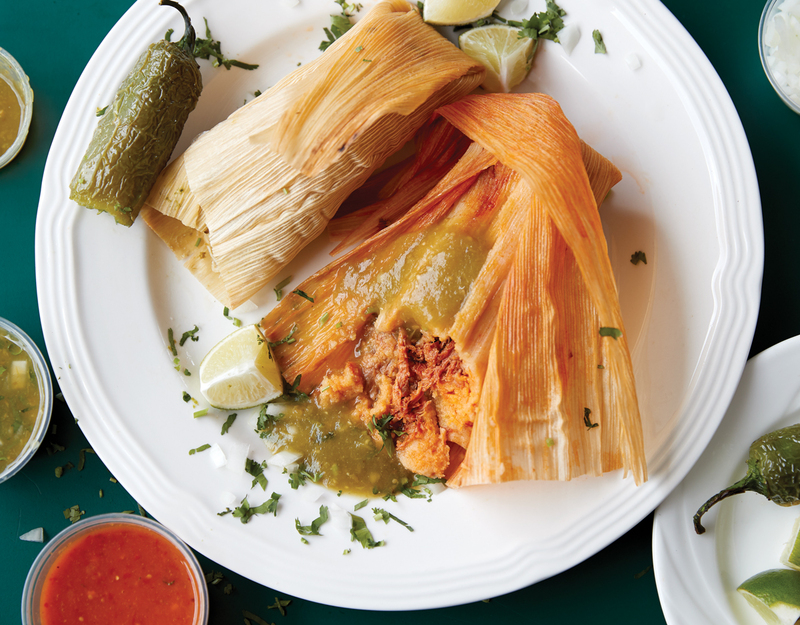 In his quest to perfect the art of tamale-making, Martinez has tasted everything from store-bought frozen versions to handmade ones in restaurants across the city. Here’s where he picks up his favorites (aside from his own kitchen)—all within a half mile of each other on Buford Highway. Marco Marinez Chicago approves of the artful preparation of Chicago Supermarket’s chicken and red mole tamales. 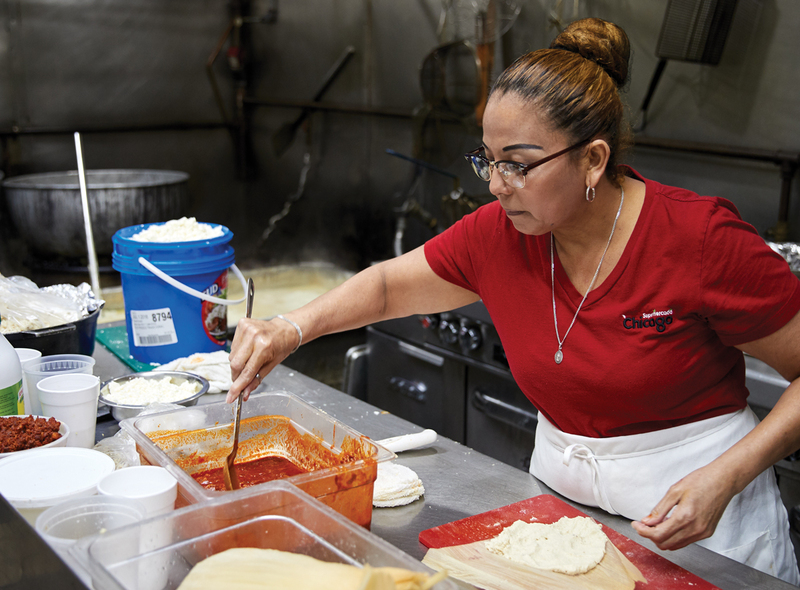 The small tamales at El Taco Veloz pack a spicy punch. 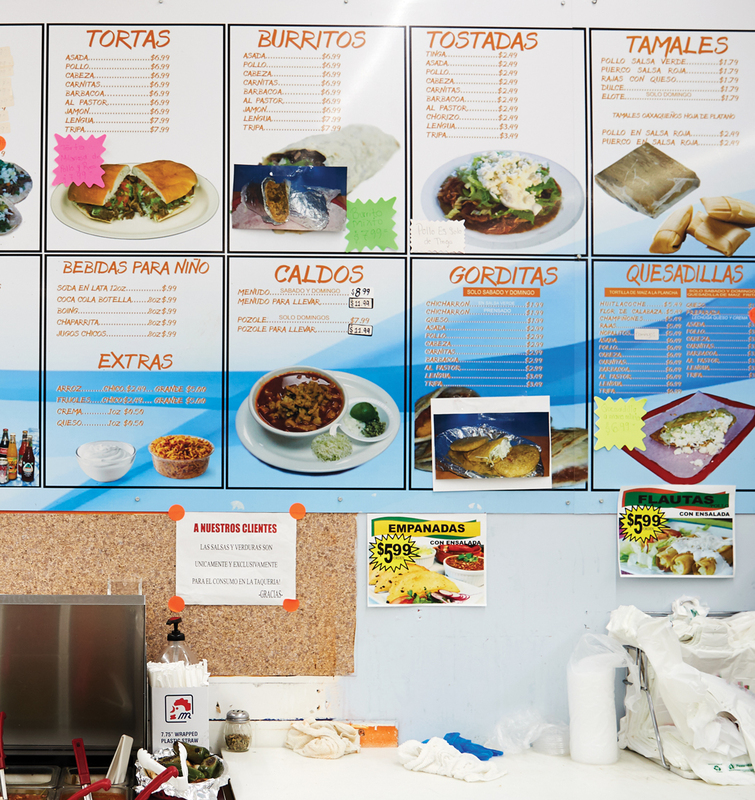 *Correction: The print version of this story listed the address of the Taco Veloz on Buford Highway; that location does not consistently offer tamales, though the Chamblee one does. We regret the error.